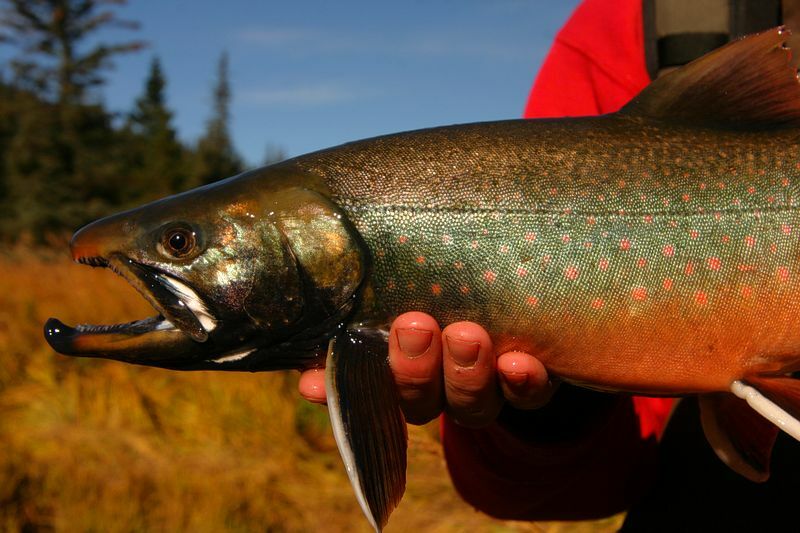 The Dolly Varden trout is really more of a char than a trout, but we call it a trout anyway. The meat of a Dolly Varden is often pink and is a taste treat you have to experience to appreciate, folks! It’s kind of a cross between trout and salmon. Just about any trout recipe will work with Dolly Varden, so here is a couple to whet your appetite. Four (4) butterflied Dollies, seasoned with a little salt and pepper. Roll the fish in flour and sauté in butter (2 tablespoons). You might add a touch of flavored oil and DARE your guests to guess the secret ingredient! Cook the fish through (about 3 to 4 minutes per side) in a COVERED pan. Remove fish and keep warm (the fish, not you!). Now comes the creative part, folks. Halve up some green seedless grapes and cook them for about three minutes(in the same pan you just used for Dolly, These will caramelize and look delicious but don't eat them just yet! Splash some lemon juice in there and stir to combine all. Now simply pour this over the trout. This is a very simple dish that will leave your dinner guests wondering when you had the time to study under Gordon Ramsay! Don't tell them any different and take all the credit! Flavor Affinities: Almond, bacon, butter, capers, carrot, celery, chervil, chive, lemon, mint, orange, pine nut, scallion, shallot, tarragon, thyme, tomato, walnut, white wine. Now for the sportsman out there laboring hard to catch these delicacies, here's a quick simple campfire recipe. Fillet your fish and de-bone it. Leave the skin on (the scales are small and won't do any harm to you. I promise). Get your pan hot and ready. Melt some butter in the pan and if you happen to have some wine, have a glass. Add the fish to the hot pan and cook through. Usually, about 4 minutes per side does the trick. The meat will look opaque and flaky. Season it with salt & pepper to taste. When the fish is about half done, toss in a handful of slivered almonds. The butter will roast them nicely in about 2 minutes, and they will lend a splendid flavoring to the Dolly Varden. Remove the fish from the pan and place on plate skin down. Top with the roasted almonds, say "Hello Dolly!" and enjoy your meal. Both of these recipes can be served with your favorite vegetable if it's handy and/or in season. The Dolly Varden can be grilled, broiled, or smoked too. It's hard to ruin a fish like this, so get creative and let us know how YOU enjoy Dolly Varden trout.